I started weaning Freddie at around four months old, and it was one of the best things I did for him. He absolutely loves his food. He went through a stage where he was quite fussy, but after those weeks had passed I realised he started to try out newer foods and textures. One thing I thought I'd never buy was a baby food blender. In all honesty, I never actually looked one up. I was asked if I'd like to receive some Vital Baby products and a 2 in 1 Steam Blender to review. I jumped at the chance as I've always liked their products. When I received the pack, I was overly excited about all the different kind of items I received. I couldn't wait to try them all out. 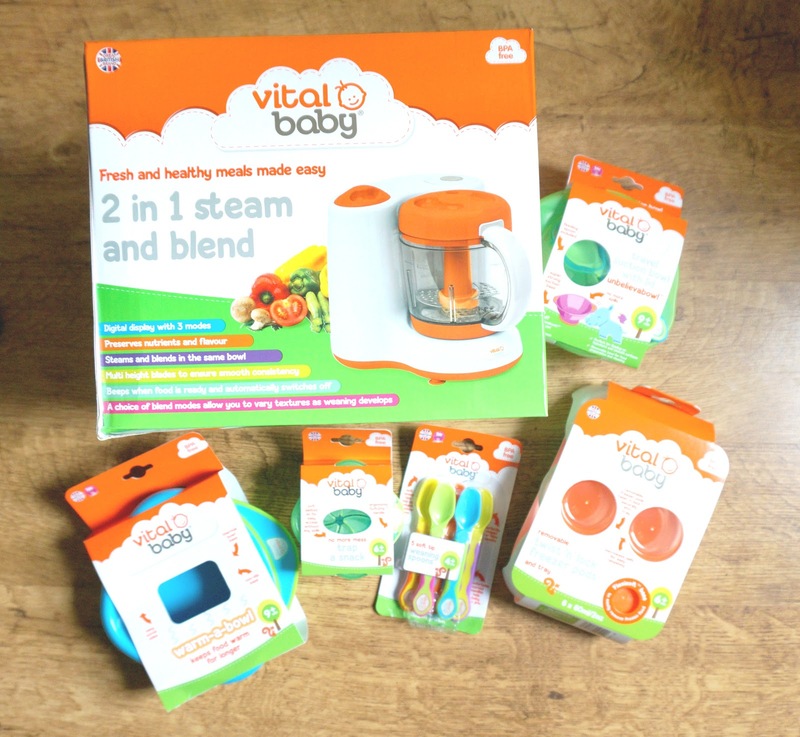 Vital Baby offers a vast range of weaning products for babies. From spoons to bowls, to steam blenders. My most favourite product are the soft tip weaning spoons. They come in a multi pack of four or five. They're suitable from 4 months onwards, and the shape of the spoon is perfect. They're not too big or too small. Freddie loves biting them, especially when he's teething. Although they now have lots of teeth marks, there's still tonnes of life left in them, and they're the spoons we use daily. They are also safe from BPA. 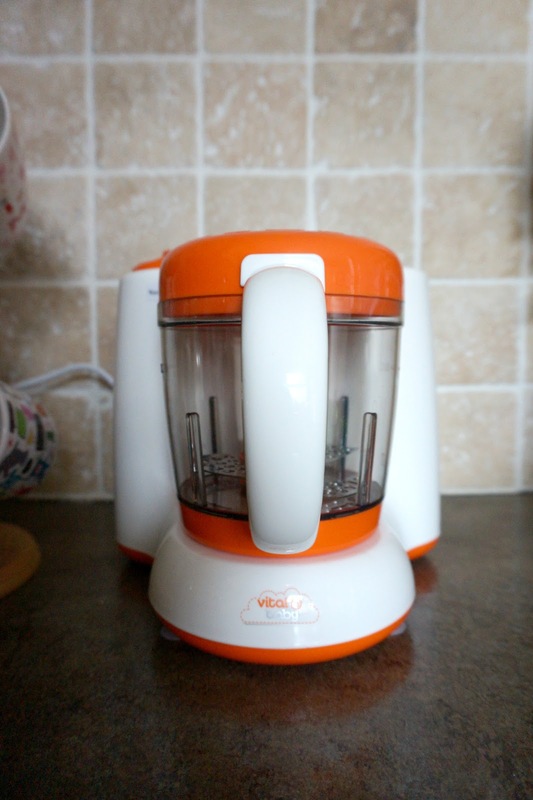 The Vital Baby 2 in 1 Steam Blend is perfect when you start weaning. There are three different blend modes, so it grows with your baby as they learn new food textures. You can go from pureed food to lumpy foods. The best part of this 2 in 1 Steam Blend product is it steams and blends in the same bowl. There is no fuss or mess of having to swap the cooked food into another bowl. Once the food has been steamed and blended, the machine with switch off automatically. The blender is easy to take out of the bowl for easy cleaning. 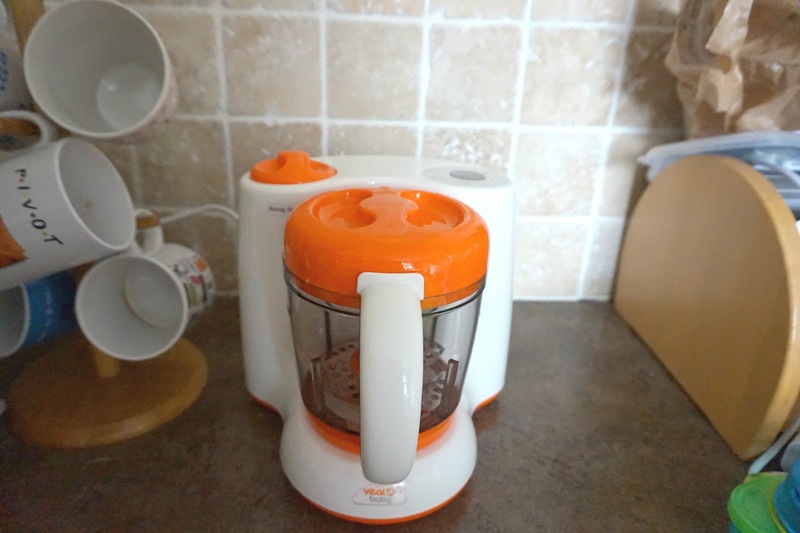 The blender can steam and blend various foods such as any vegetables, fruit, meat and fish. Another great feature of this Steam Blend is the large 600ml capacity. 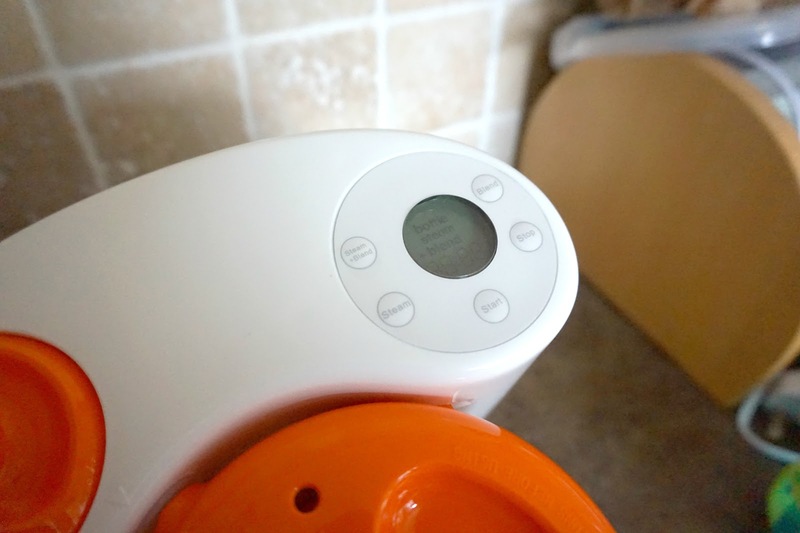 This allows you to batch cook which saves you time and perfect for not wasting foods. 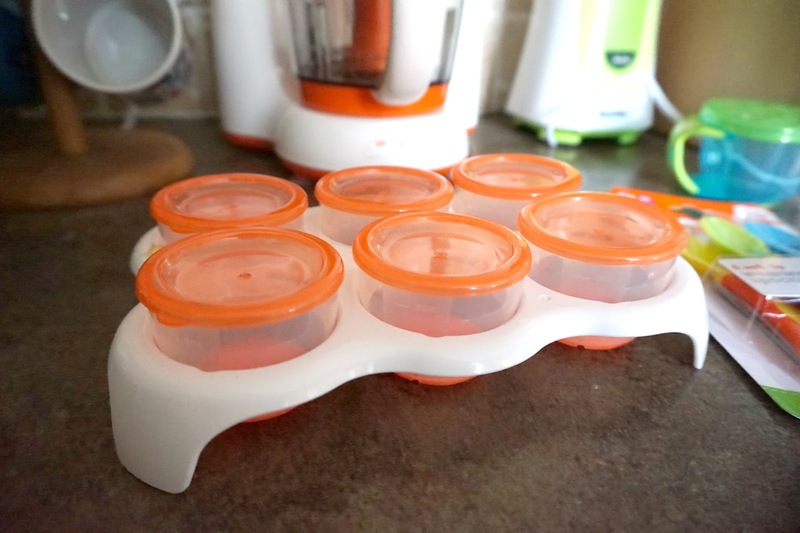 To store the food you can use Vital Baby's Twist and Lock Freezer Pods which are perfect for storing leftover food. We also received the Warm-A-Bowl which is perfect for keeping your little one's foods warmer for longer. It's suitable from 9 months upwards. To keep the food warmer for longer, you need to add warm water to the thermal base. There's a cap to make sure no water will come out once closed - peace of mind. Available in a pink and blue, vibrant colours. 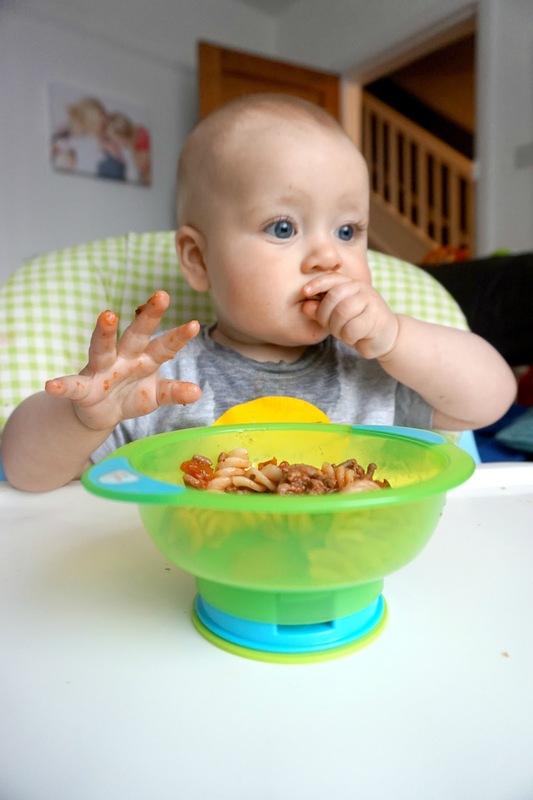 Two other bowls that Vital Baby offer is the Travel Suction Bowls and Bowls with Lids these are perfect for home use and travel use. The suction bowl is perfect for those little people who love to throw bowls around. Why? Because it is suctioned tightly to the table, and so the bowl can't be moved. The bowls with the lids are great for storing food in the fridge or packing away to travel, it also comes with a spoon. The Trap-A-Snack is ideal for those little snacks. We use this - a lot. We put Freddie's little rice cakes, fruit or other small snacks in there. Freddie hasn't tried putting his hand through yet, but it's a soft top and would be perfect for toddlers to reach their snacks with no mess. The Vital Baby 2 in 1 Blend also has suction bottoms so it won't slide on your kitchen counters. The vibrant colour orange is stunning. * This is a collaborative post with Vital Baby. We were given these items in return for an honest review post. All images, words and opinions are my own. 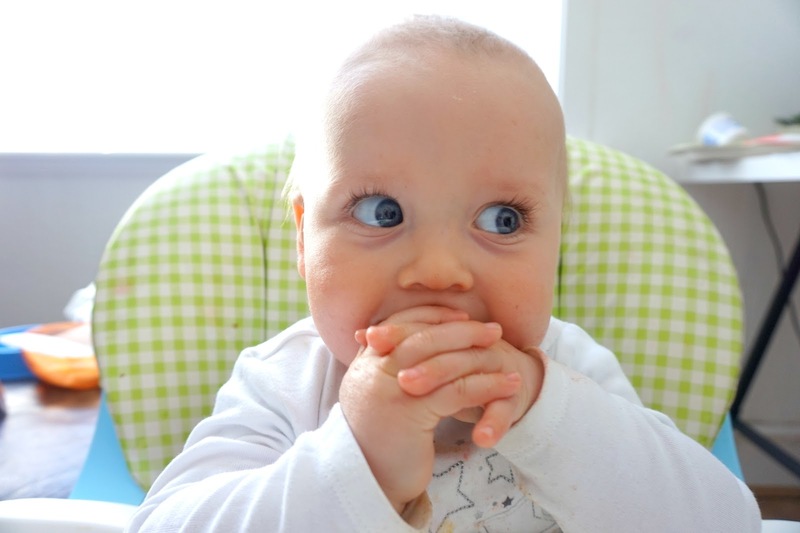 We also love home made baby food. I make it with my normal blender and this works also really good. The jug of my blender is made of BPA free Tritan and so it's totally suitable for baby food.